Once again, Strangereal is at war. The Kingdom of Erusea has declared war to the Osean federation, and both nations are preparing for the fight. 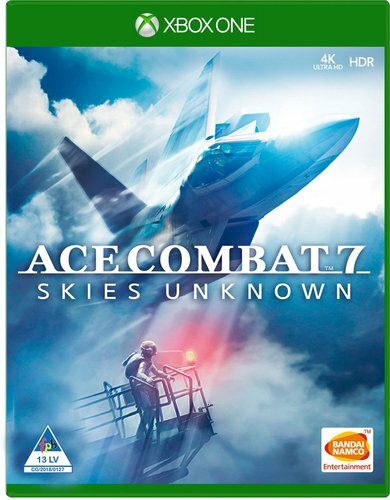 Get ready to jump into your cockpit once again pilots, Ace Combat 7 is taking off in 2017! Modern and futuristic aircrafts will be your tools of war in an immersive story. Soar the skies above city landscapes during intense dogfights! Ace Combat 7 will be the most breathtaking Ace Combat game ever Released. RETURN TO STRANGEREAL The alternative Ace Combat universe composed of real-world current and near-future weapons, but a history steeped in Ace Combat lore. INNOVATION IN THE SKY Breathtaking clouds coupled with highly detailed aircraft and photorealistic scenery makes this the most engaging Ace Combat to date.